Spring is in full swing; the rain is coming down; and, finally, the temperature has come up for a welcomed heat wave that will lead us quickly into summer. With this change in climate, fragile buds of new life are finally beginning to bloom and brighten the world- so, with the discussion of new life, and with May having arrived surprisingly quick, our topic of conversation turns this week, to none other than the life-givers themselves, MOTHERS! MOTHER’S DAY is on its way, and we’ll make sure you’re ready for the 10th so that you can celebrate your special matriarch with style and ease! Mom gives so much every day; every moment spent thinking and doing whatever it is she can to make our day better. From birth, she cooked, cleaned and worried for us when we could not do so for ourselves. Through adulthood, she stands at our side celebrating our successes and never taking credit for our accomplishments- even when a great deal of them had much to do with her loving hand and guidance in our lives. Needless to say, Mother’s Day is just one of 365 days we are given a year to spend saying ‘thank you’ to our MAGNANIMOUS MOMS, and to show them how much we love and appreciate all that they have done and will continue to do for us. Take this special Sunday to sit down with mom and reminisce, if nothing else, on the times you spent together and how much it meant to you both to have one another. Use this Sunday to really imprint upon her how much she has helped shape all of the great qualities in you! DADS, take May 10th to help your little ones come up with something extra special for mommy, and show her just how important she is to all of you- even if it is just in the form of macaroni art and breakfast in bed! Give Mom a classic affair with our Flairware Collection. From Plates & Bowls, to Stemware and Cutlery, your Mother's Day menu will glow with love and class. Not to mention, mom will be quite impressed with your savvi planning skills, as you spend all your time reminding her how special she is- and practically no time cleaning up! 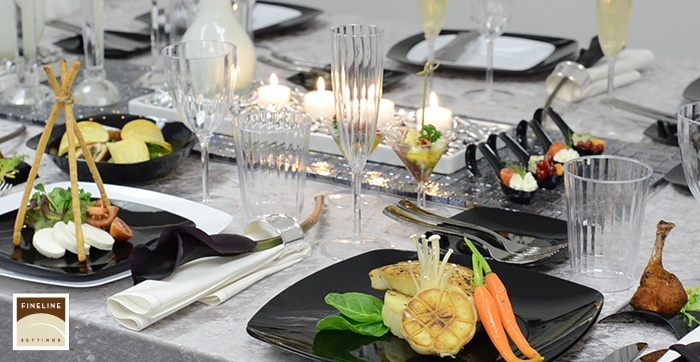 If you're looking for a collection with a bit more wow, serve Mom up her favorite dinner or dessert on one of our Silver Splendor or Square Splendor Plates! We've taken disposable dinner service to new heights with a rim of reflective silver or gold, so Mom can see just how much you love her! If mom prefers a more out-doors-esque party, then give yourself a super head start with our Super Bowl and Super Sips collection! Add on our Savvi Serve Plates, Bowls, and Tumblers, and your outdoor escapades will be distinct, dependable, durable, and disposable! 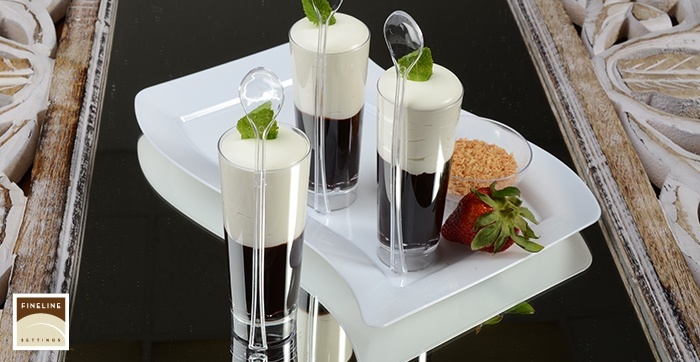 No matter your vision, FLS has your tablescape covered with our Drinkware, Cutlery, Stemware, Plates & Bowls, Serving Platters, and SO MUCH MORE! 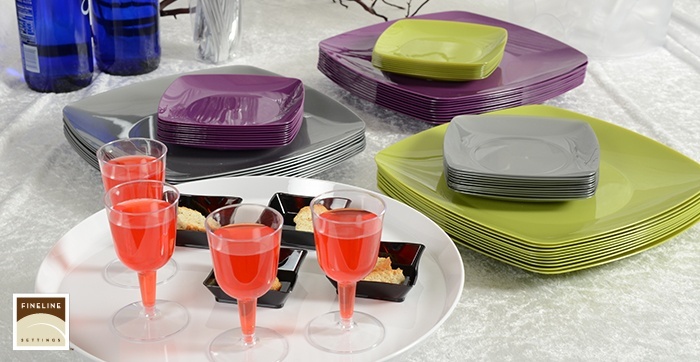 Your special celebration will not only impress mom with your chic sense of style- but have her astounded at your savviness when she sees how easy it is to toss your used tableware into the nearest recycle bin! Fineline Settings Mother’s Day “Pin-It!” List! We’ve collected an array of fantastic, delicious, fun, adorable, and fashionable Mother’s Day treats and gift ideas to help show mom just how much she means to you.